Elegy mini-hotel is perfectly located in the downtown of Saint-Petersburg, on the famous Rubinsteinastreet featuring numerous cafes & restaurants, just a 3 minute walk from Nevsky prospect. 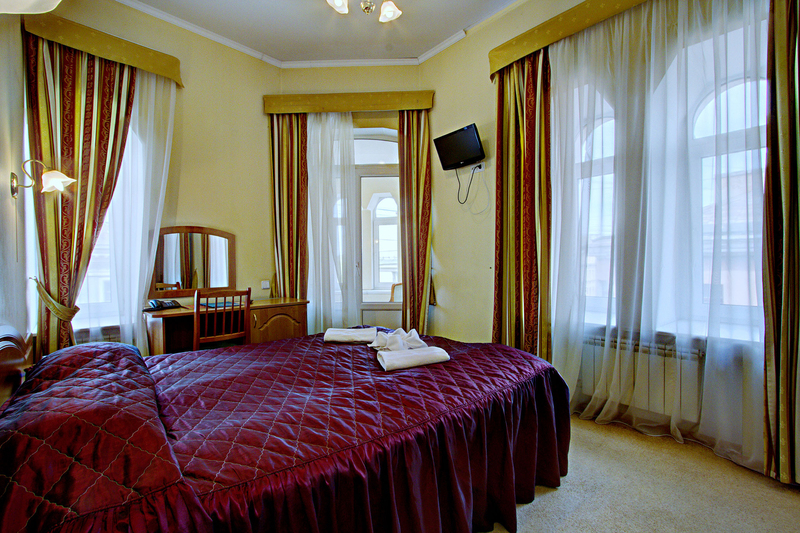 Two metro stations - Dostoevskaya and Vladimirskaya - as well as bus stops are all within walking distance from the hotel. The way to Mayakovskaya metro station on foot will take about 7 minutes. The hotel occupies the top floor of a 5-storey building (with an elevator). Entrance to the hotel is from the street. Double glazed window are facing either Rubinsteinastreet, or Grafsky lane or backyard. All rooms are doubles, but may be used for single accommodation. Each room features elegant furnishings, direct dial telephone, TV-set, 220v electric current, WI-FI internet connection (free), individually-controlled air conditioning systems and ensuite bathrooms (bath or shower or shower cubicle, washbasin, toilet, hair-dryer). There is a fully-equipped kitchen area in the lobby, which features a microwave, a fridge, an electric kettle, a sink, china and cutlery. This is a more spacious room than the standard room and is maintained with a double bed. Economy Room is smallish in size but great for a budget conscious traveller.